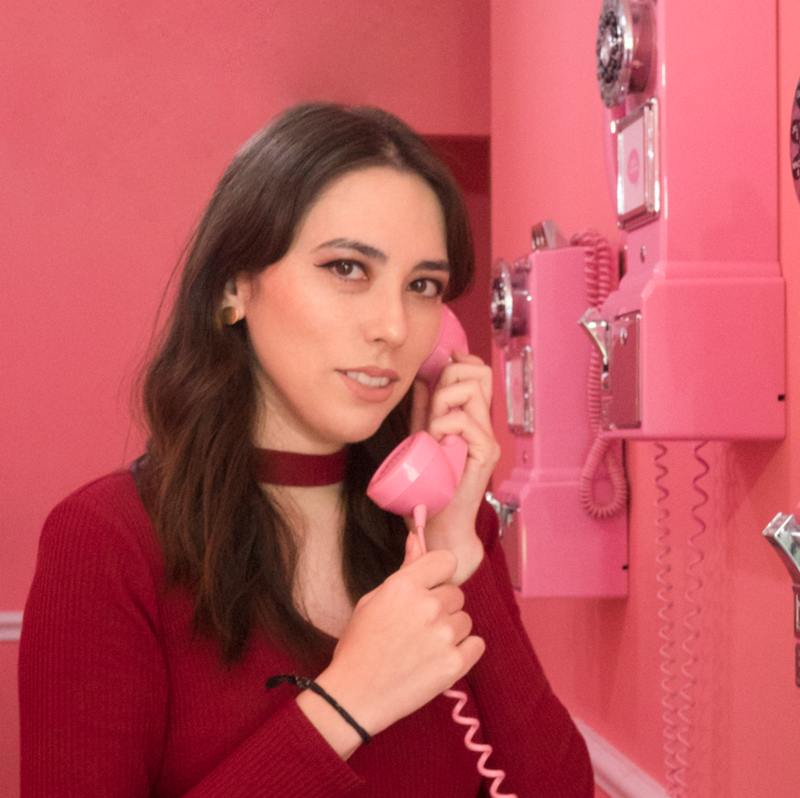 Do you ever get strange cravings that come out of nowhere? 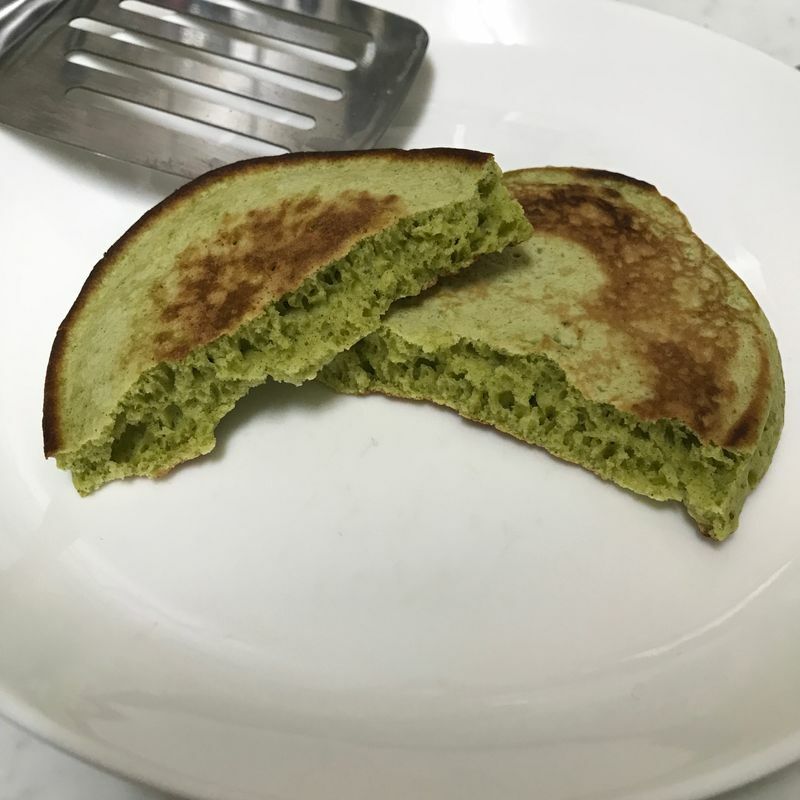 This one hit me like a bag of bricks: I wanted matcha pancakes. 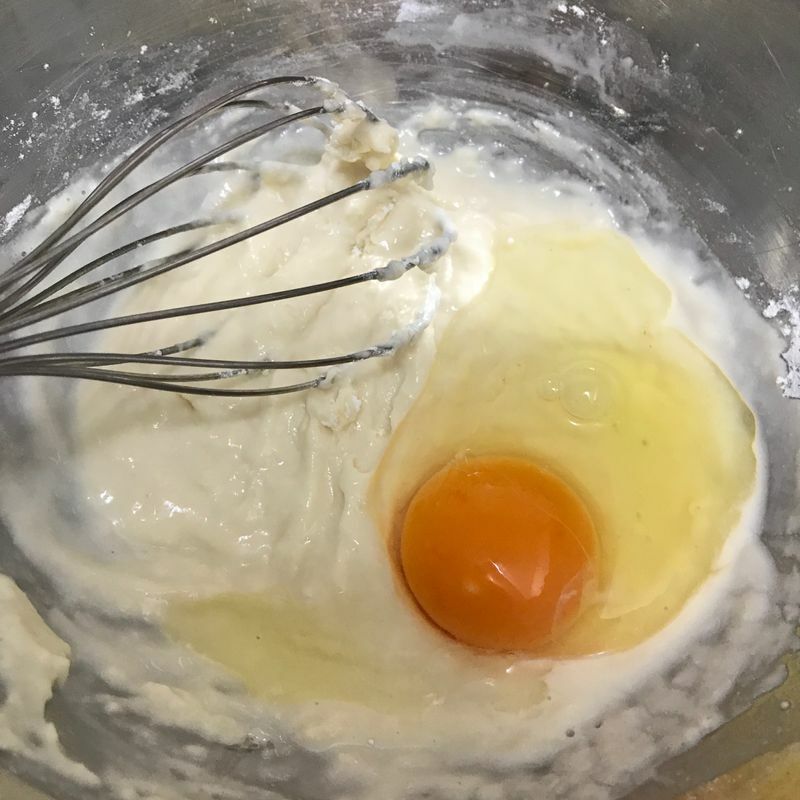 Thankfully, I already had the ingredients together and I could whip something up together quickly. I wanted the feature of the pancakes to be the green tea flavor. I had some Shizuoka green tea powder on hand, and I didn't want to waste it if the flavor didn't shine through. The added bonus is that it contains catechin, which is an antioxidant found in green tea that helps fight disease and prevent heart problems. So, essentially, healthy pancakes (or that's what I kept telling myself). I adapted this recipe from Cookpad, with a few minor adjustments. Alternatively, you could just use packaged pancake mix, following the instructions for it. 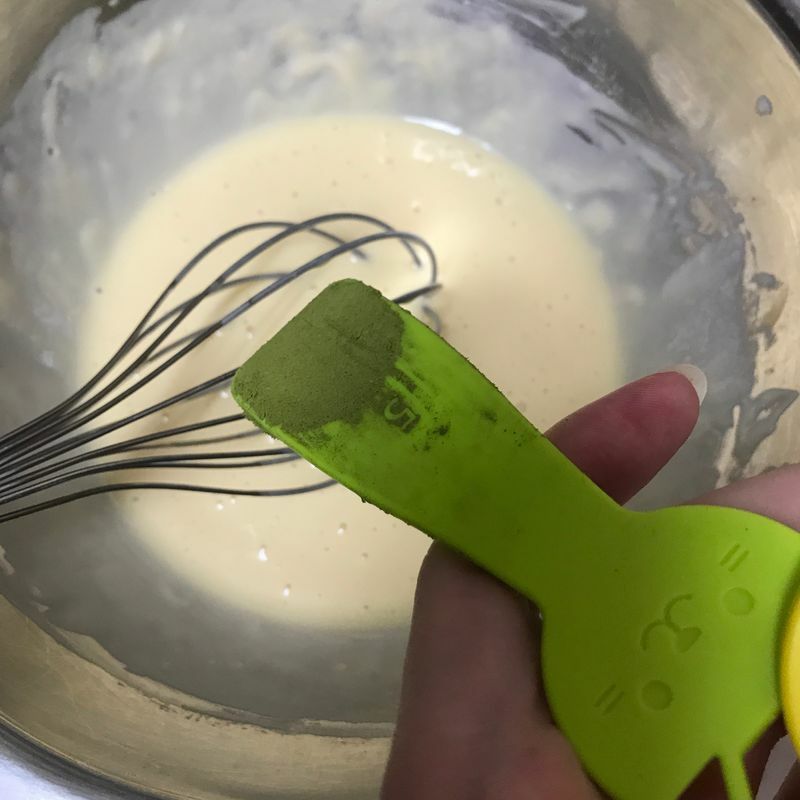 Despite only adding a tiny bit of Shizuoka green tea powder, the entire batter turned a very consistent swampy green. The aroma of green tea was also pretty noticeable, so the quality and concentration of powder was good. Sometimes, unscrupulous companies add sugar to their matcha powder for sale, so always be sure to check the ingredients! 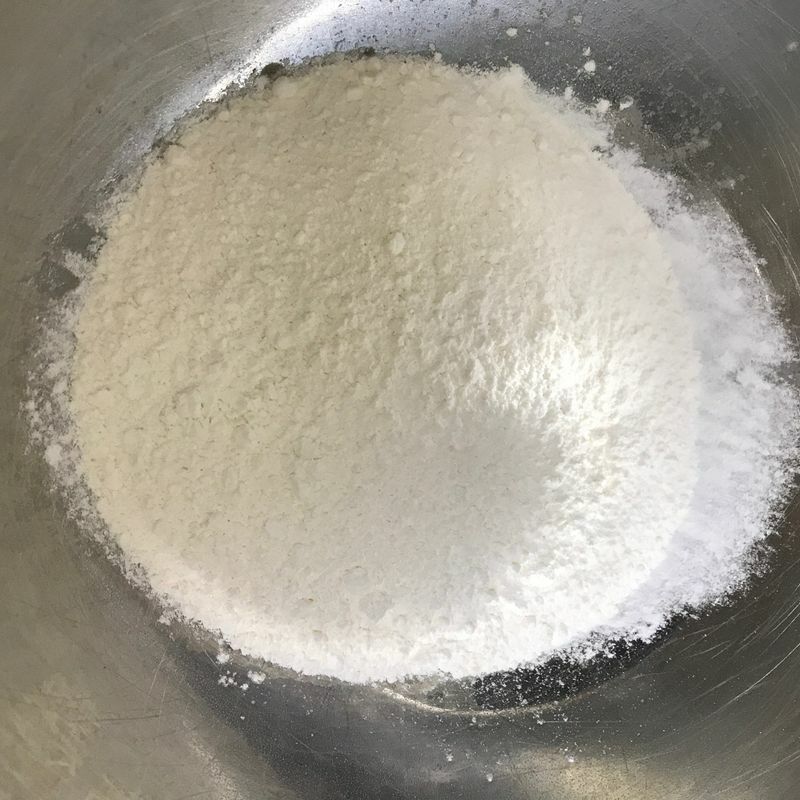 I guess that, because this particular one was advertising themselves as a powder from Shizuoka, they wanted to maintain as high of a quality ingredient as possible. 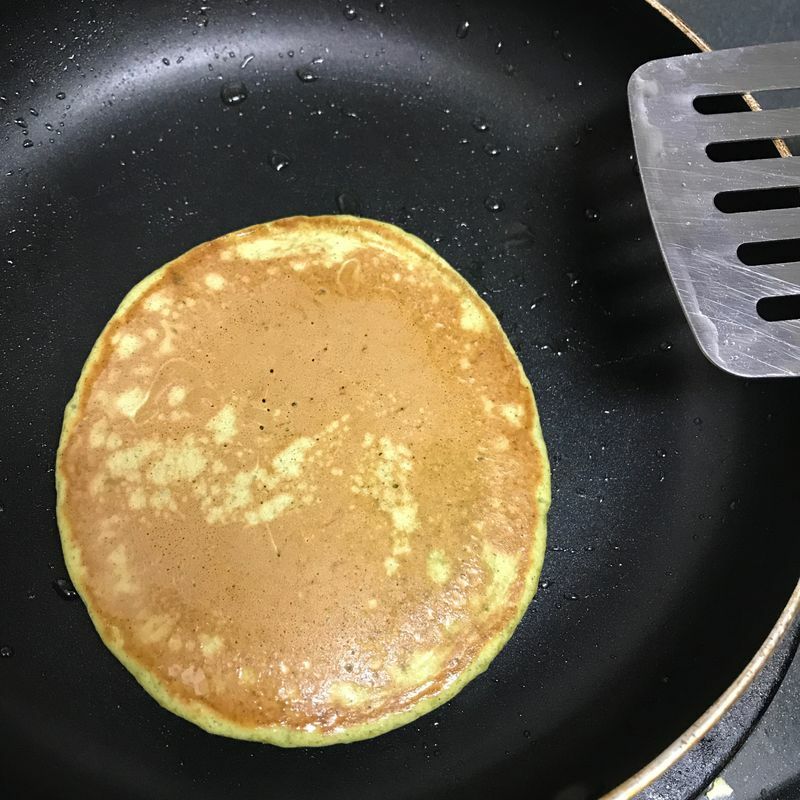 Cooking it on medium-low heat, my first pancake didn't look that appetizing. Getting my pan to an even temperature, my second pancake turned out a lot nicer. There was an even brown to the pancake this time, rather than a splotchy one like the first attempt. Ripping open my tester pancake, I was pleased to see that the inside looked nice and green. I wanted to try it plain, so I could get the true taste of the pancake. On the first bite, I was a little disappointed that it tasted like a normal pancake. However, the flavor was one that gradually builds. My second bite had the full force of the green tea flavor behind it, now that my taste buds were accustomed to it. The green tea powder wasn't overpowering, because there wasn't too much of it. Rather, it added a subtle earthy flavor that was extremely pleasant. 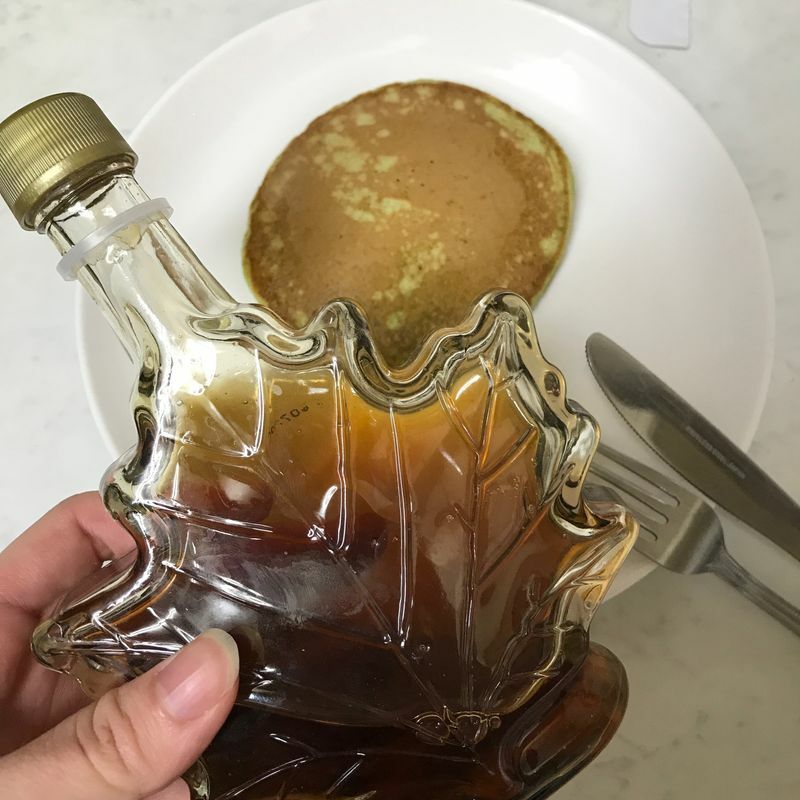 Unfortunately, the syrup didn't go as well with the pancakes as I had hoped. 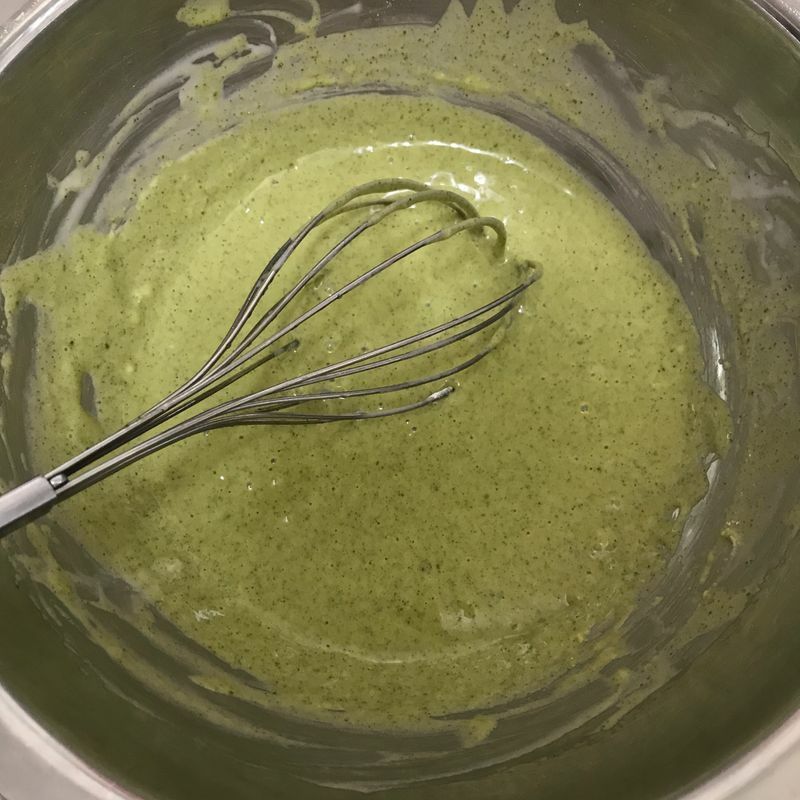 It masked the flavor of the green tea powder, and added a sweetness that wasn't really necessary. 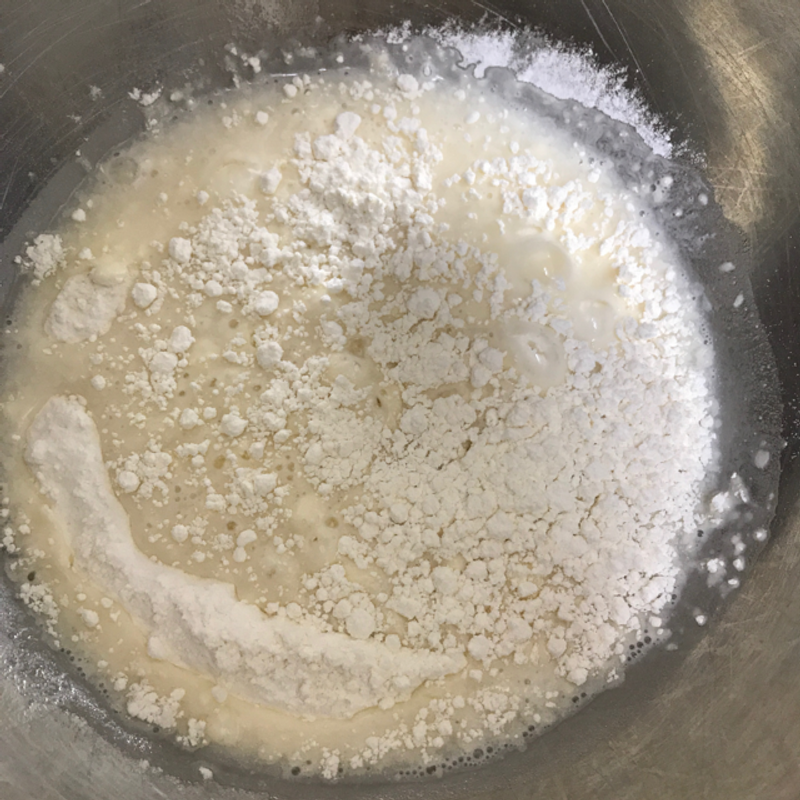 The butter worked well, though, so if you're looking to spice up these pancakes, that's all I can recommend, though it's not even necessary. 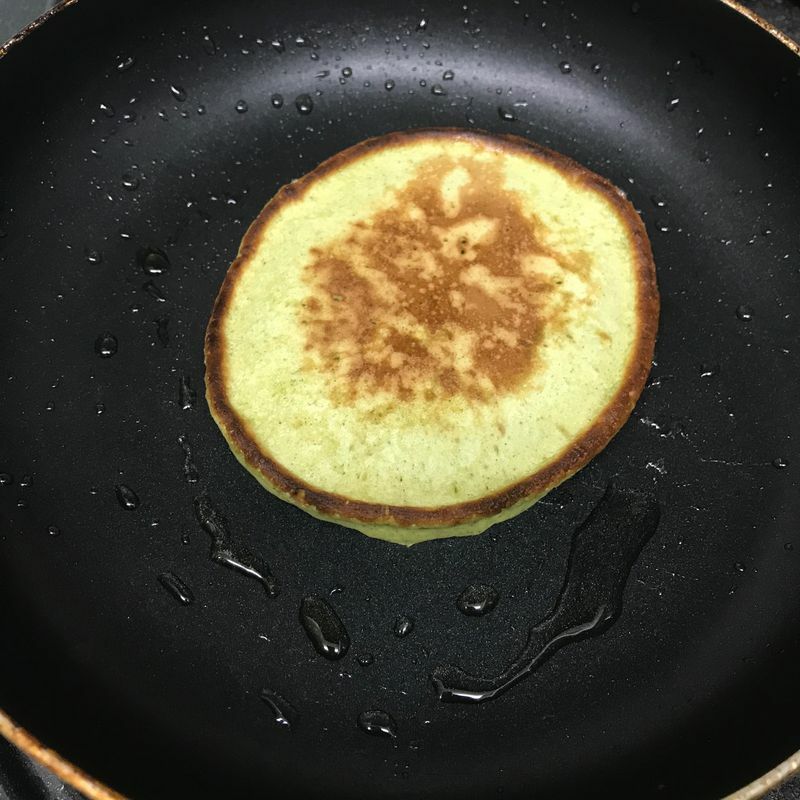 The key thing to remember when making matcha pancakes is to remember the quality of your ingredients. 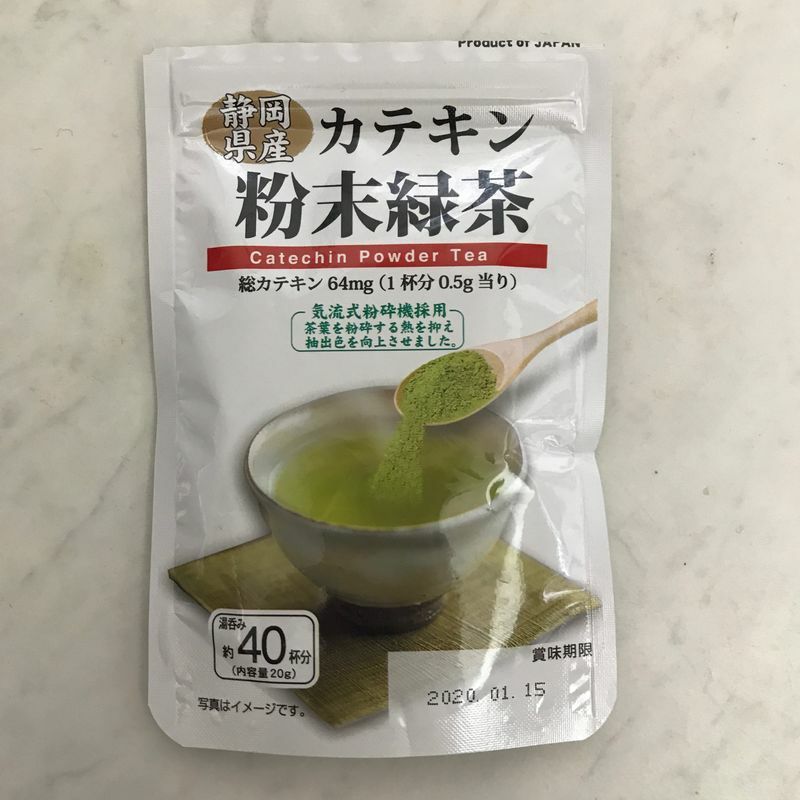 Thankfully, I had some Shizuoka green tea powder on hand, which is known for the quality of its tea. 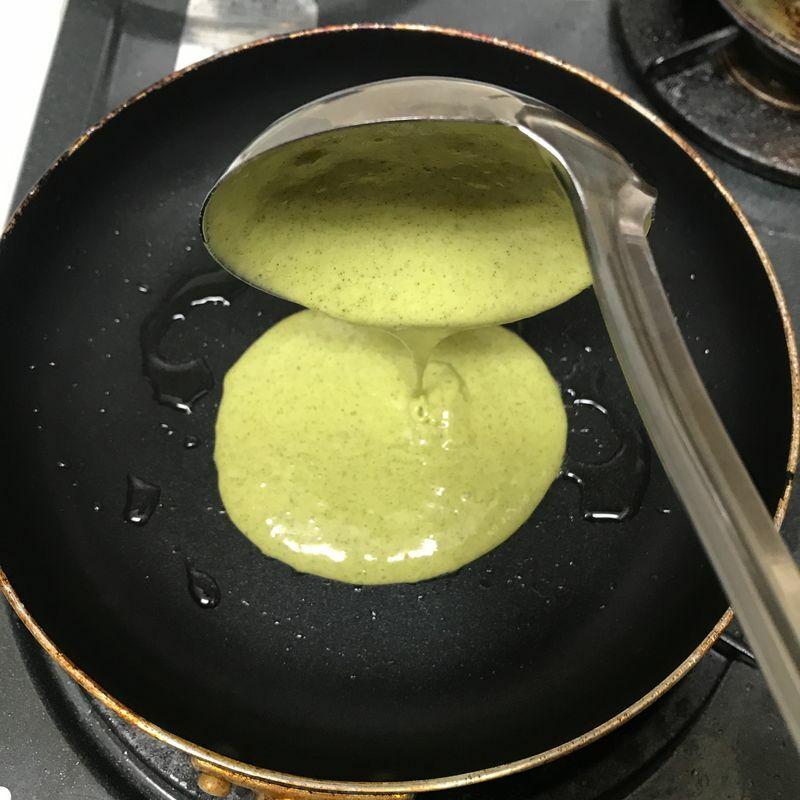 This meant that the leaves used were full of flavor, which translated into a better tasting matcha pancake. 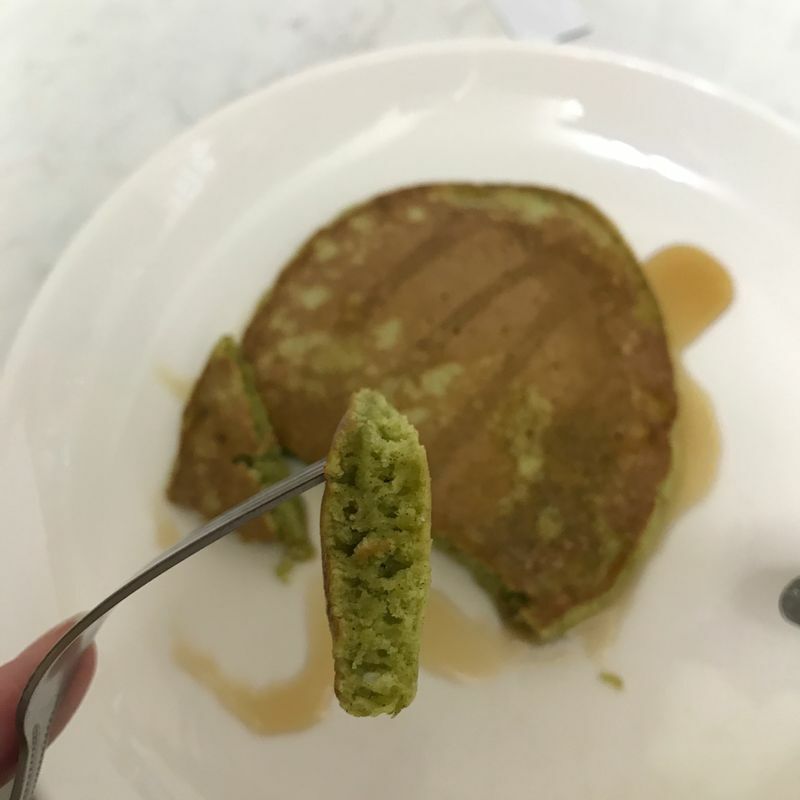 If you're going to make matcha pancakes, why skimp out on the star of the pancake: the matcha? Try using Shizuoka green tea powder for your next culinary adventure to really highlight the flavors.